The estate was inherited by a nephew, also Ralph, of the above Ralph Sneyd in 1888, and he was commonly known as Sporting Ralph as his main interests were horses, shooting and fishing. He built a stud farm on the site that is now Paddocks Farm, and had a racetrack built so he could host horse racing meets. The straight mile of the track was evident until the M6 was built on it in the 1960s. He also developed the lakes for trout fishing, and game birds were introduced for shooting parties. One of the stone built lodges was used as a gamekeeper’s lodge. 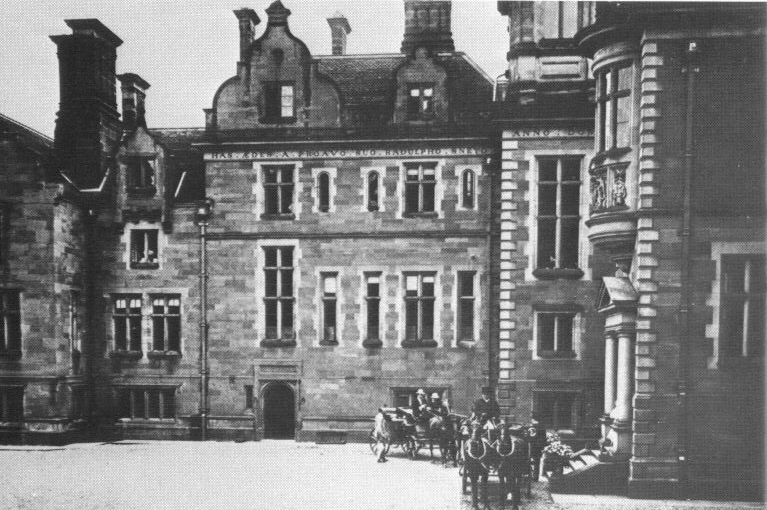 Despite this investment Ralph never spent much time at Keele, and leased it to various tenants, including Grand Duke Michael of Russia from 1901 to 1910. The highlight of this period was a weekend visit from Edward VII in 1901.